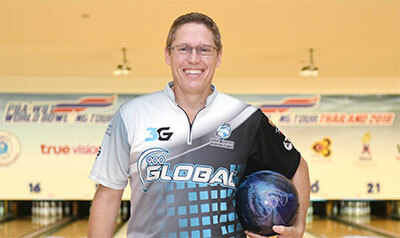 27th September, Bangkok: 2017 World Championships two gold medallist and PBA Hall of Famer, Chris Barnes of Double Oak, Texas snatched victory in Round 2 Finals of the 2018 PBA-World Bowling Tour Thailand at Blu-O Rhythm & Bowl Paragon on Thursday. 2018 Asian Games Masters champion, Rafiq Ismail of Malaysia set a cracking pace with a stunning 277 in his opening game to lead Barnes by 34 pins followed by 2016 Thailand Open champion, Kim Bolleby of Thailand in third. The 21-year-old Malaysian added another superb 234 in the second game but saw his lead reduced slightly as Australia's Sam Cooley closed in with 279. Barnes slipped down to third ahead of two-handed Finn, Osku Palermaa moving up to fourth. The Aussie took over the running mid-way through the finals after following up with 235 in the third game. Ismail managed 205 to slip to second while Barnes rolled 247 to move up to third. Steve Weber of USA and Liz Johnson of USA followed closely in fourth and fifth spots respectively. The Malaysian regained the lead after the fourth game to lead Cooley by 2 pins. Barnes continued to trail the leading duo. Palermaa shot 246 to stay close to the leaders. 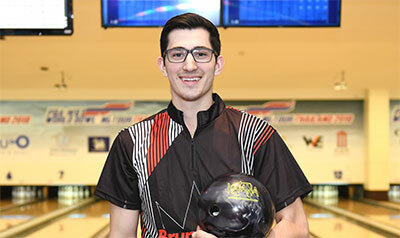 A second PBA pro, Ryan Ciminelli of Cheektowaga, N.Y., shot a sizzling 268 to move up to fourth while defending champion, Yannaphon Larpapharat of Thailand rounded up the top 5. Cooley took over the lead from Ismail after recovering with 222 as Ismail posted 210. The Finn rolled a second 246 up third. Barnes downed 211 to slip behind Palermaa. With less than 35 pins separating the quartet, it was wide open for any of them to win the round. Barnes ended strongest with 239 in his sixth game to win the round with 1346. Palermaa settled for second with 1334, 12 pins adrift. Cooley ended with 187 to finish third with 1330. Ismail and Yannaphon rounded out the top 5 with 1317 and 1307 respectively. Ciminelli finished sixth with 1275, Liz Johnson of USA seventh with 1260, and Sithiphol eighth with 1259. Greg Young of USA, who was last before the final game, rolled the tournament's sixth perfect game to secure a place in the next round in ninth position with 1254. Steve Weber of USA clinched the tenth spot with 1233. 2016 Thailand Open champion, Kim Bolleby of Thailand missed the cut by 6 pins to finish 11th with 1227. The top 10 advanced to the next round and will be joined by qualifiers positioned 9 to 24 from the Round 1 qualifying standings for another 6 games from scratch after the break. The top 12 finishers at the end of Round 3 Finals will advance to tomorrow's Round 4 finals joined by qualifiers positioned 1 to 8 from the Round 1 qualifying standings for a final 6 games. The top 7 plus the top Thai finishers will proceed to the Stepladder TV Finals.